Gorgeous embroidered turquoise star throw pillow perfect for your Wyoming weekend Hideaway. Designed to match the turquoise Triple Star Western bedding collection. 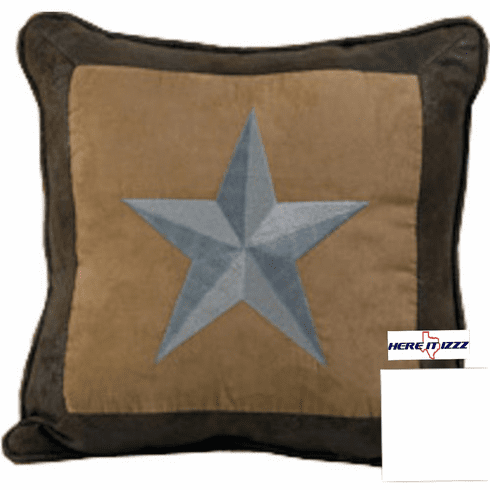 This pillow features an embroidered star on tan micro-suede. The edges are a chocolate distressed leather look fabric with 3 inch fringe all around the pillow.